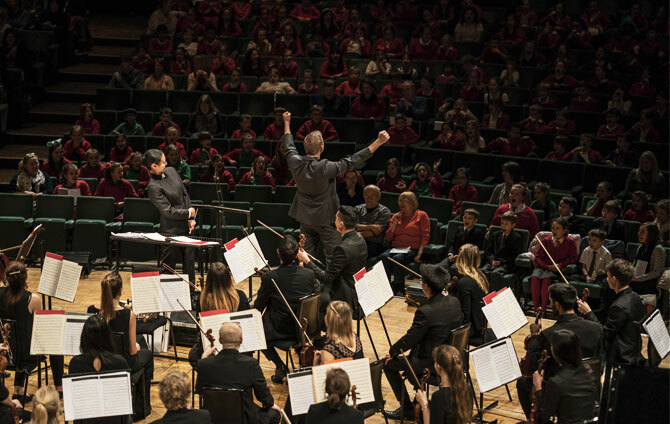 Over 850 children witnessed the awesome power of a symphony orchestra for the first time at Orchestradventure! performed by The Royal Welsh College Symphony Orchestra and presented by BBC Radio 3’s Tom Redmond. This fun, interactive concert was specially devised to capture the imagination of young people and their teachers during a live concert that introduced them to the instruments and inner workings of an orchestra. An audience of over 1200 came to see Orchestradventure! The young audience were taken on a whistle-stop tour of many well-known pieces such as Beethoven’s Symphony No. 5, Rossini’s William Tell Overture, Rey’s Theme from Star Wars: Force Awakens. The performers even got the audience dancing to Quincy Jones’ Soul Bossa Nova. 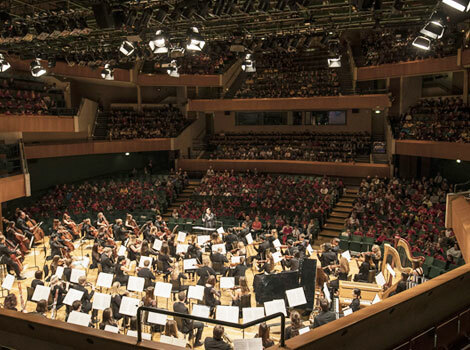 Over 700 of the primary school-aged children in the audience were attending a concert for the very first time. The concert was fantastic and a lovely experience for our children who would not normally have the opportunity to access performances like this. The pieces performed were easily recognisable for the children which allowed further engagement. Orchestradventure! was devised by BBC 3 Radio presenter and former Hallé Orchestra Horn player, Tom Redmond, and conducted by RWCMD Junior Fellow in Conducting, Tianyi Lu.